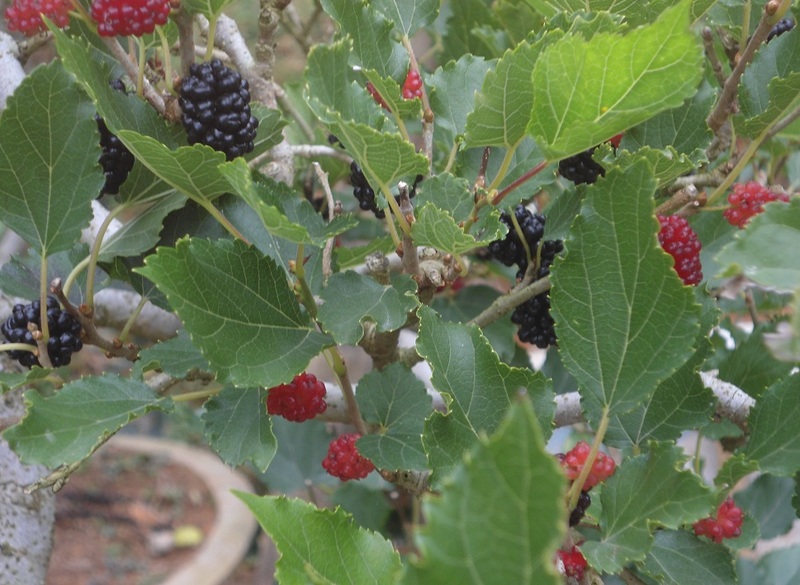 Hi All, Recently I saw Black Mulberry - Morus Nigra (Beenleigh Black) in Bunnings store. 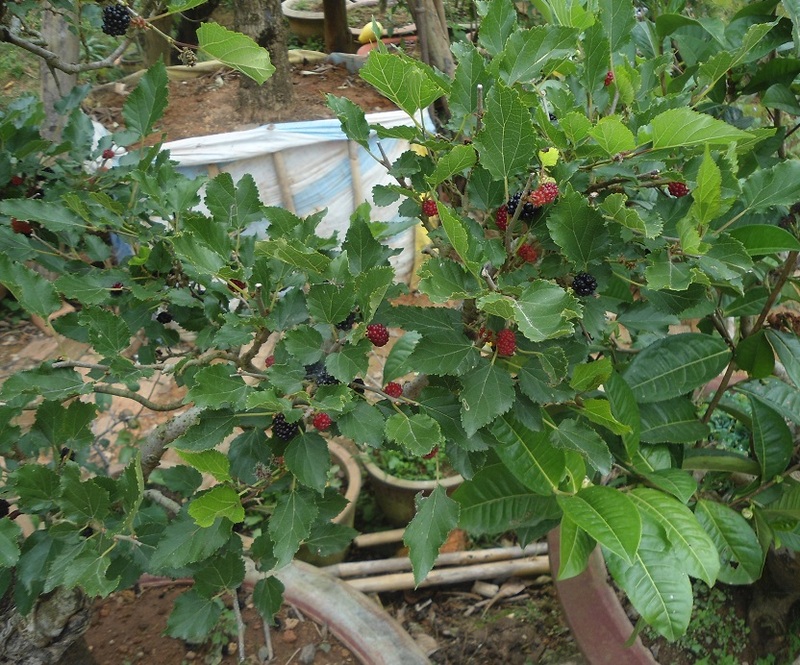 How does it compare to Dwarf Black Mulberry (from Daleys) - taste wise & fruit quantity wise? Can Morus Nigra be grown in large pot? Also, how does Red mulberry (red shahtoot) compare to back mulberry taste wise? I cannot speak for Brisbane but the black English has a rich sweet flavour whilst the red shahtoot has a more tart flavour. Both very nice. Many a great childhood memory involves me covered head to toe in sticky mulberry juice. They are very tough, tasty plants (at least in NSW, VIC and Perth). Silk worms and chickens love the leaves. (Seriously - a chook pen under the mulberry is an ideal spot). The black English seems to be slower growing, so if you wanted to put one in a pot I'd recommend that variety. Just over 12 months ago I took a 10cm cutting of a red shahtoot and black English. The red shahtoot is now in a 40L pot, and almost 1.5m tall. I'll plant it in the ground in soon because I'm already snipping roots from the base. It fruited in spring (about 0.4kg) and has provided about another micro-crop (0.05kg) again in Jan. It is a weed, very welcome, but a weed. The black English is about 25cm tall, still in a 1L pot and hasn't fruited yet. I've known both varieties of mulberries in ideal conditions to produce well over 10kg of fruit a season (not counting what the birds steal) on a tree 4m high. I'm a complete novice and discovered they are both quite easy to strike as cuttings - so you could try both. Thanks bobbles for your reply.. Now just couple of days back I have bought Dwarf black Mulberry from Daleys. By any chance, do u know how does this dwarf compares to black English or Beenleigh Black (I think the one from bunnings is this one but I'm not sure, any idea?) taste-wise or do they all tastes same being all black? Does anyone know how does Dwarf Black Mulberry taste compares to Black Mulberry from Bunnings (Label says Morus Nigra, so I guess its Beenleigh Black). I have bought both of these, dwarf one from Daleys and Morus Nigra from Bunnings. Is there any point in keeping both? I have already potted dwarf one, but thinking whether to return Morus Nigra or keep it, any advice? I was thinking to put in pot and prune it to keep it small, will that work? So is there any point in keeping both variety? In case they taste almost same, I'll return Beenleigh Black.. 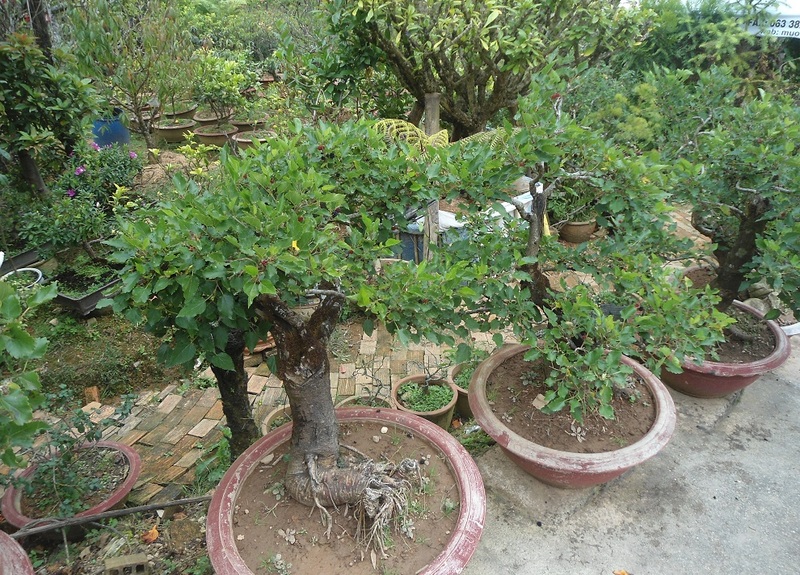 Here are some pictures of some Bonsai Mulberry Trees I saw recently growing in pots. They are not a dwarf variety as far as I know as these are grown commercially in Vietnam. I think they are just the normal type of Morus nigra which I always thought would get too big, so it's good to know that they can be kept to a manageable size. And as you can see, they can also produce plenty of fruit in a pot! Thanks Linton. I did give away my mulberry because it got too big and it's now fruiting at someone else's place. Wish I knew to prune it severely then.